We certainly have posted our fair share of inflatable sculptures and installations, but somehow each one has its own personality and style. 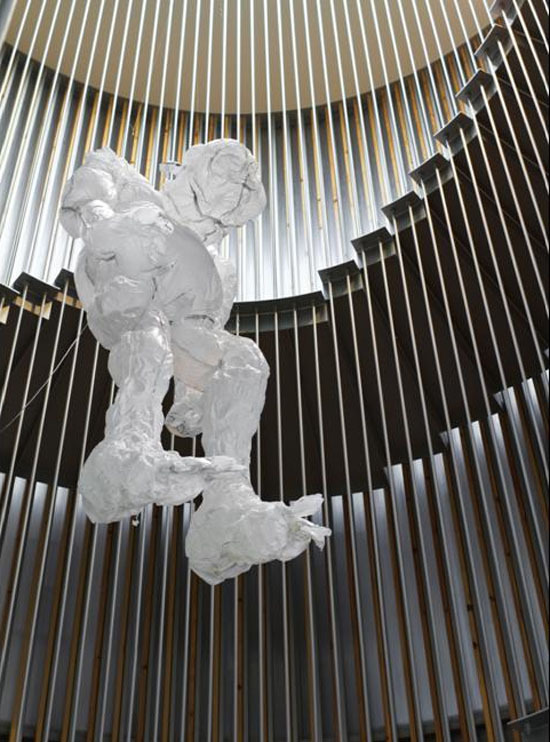 This exhibit, Aire (Air), a few months back at the Mustang Art Gallery, is an installation by Spanish artist Olga Diego. 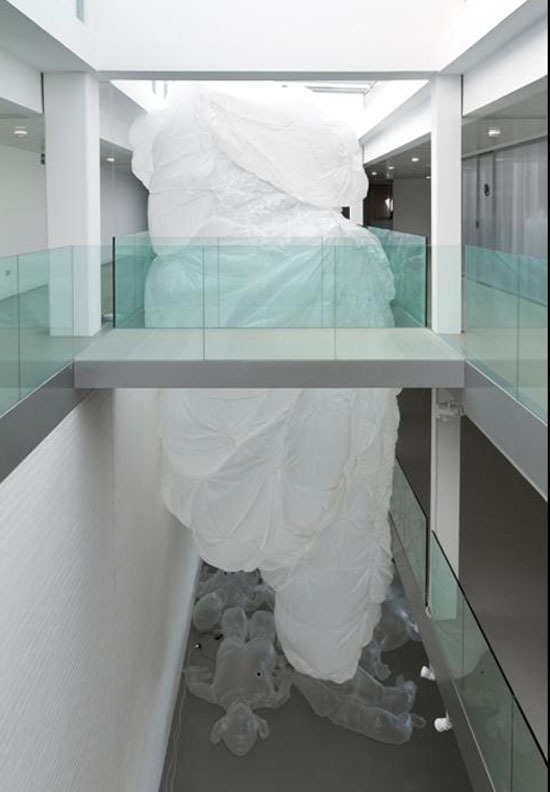 Working with plastic, both translucent and transparent, and plastic bags, along with electronic circuits that inflated and deflated each structure, Diego filled the gallery with six separate inflatable works that interact with each other and with those who viewed the show in its space. Some of the pieces allude to well-known images such as Duchamp’s The Bride Stripped Bare by her Bachelors, Even, and the hanging man to Christ. Some of her shapes are organic in form and complement the more figurative ones nicely. The two bottom photos are from a previous exhibit by Olga Diego at Plataforma Petracos, Hábitos de Habitar (Habits of Inhabiting). You can see the works in Aire being inflated in the video below, as well as their general movement and interactivity. Photos by Álvaro Vicente and El Periodic.